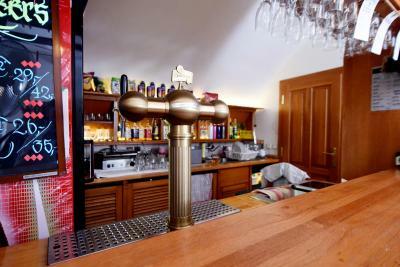 Lock in a great price for Little Quarter Hostel – rated 9.1 by recent guests! First of all, this is one of the best hostel breakfasts I've ever had, even though it costs 7€. But considering the price per night is barely above that, it's not much to ask. The storage room for luggage was huge, the bathrooms were clean and private, and the beds were comfortable. Everything was great, I had a wonderful time. The location was perfect! 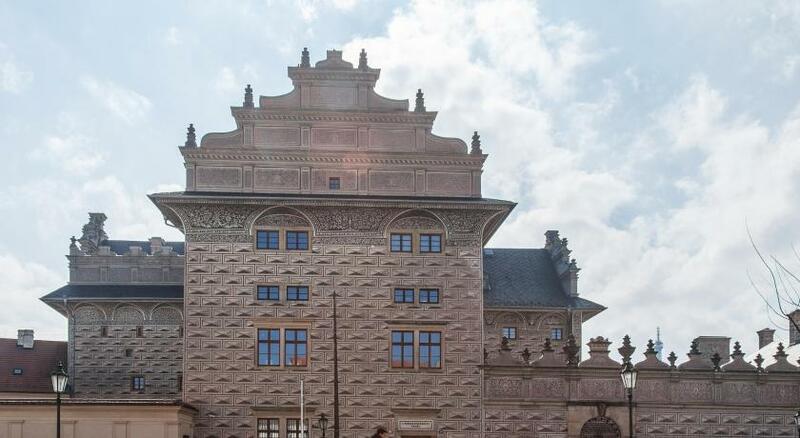 so close to Charles Bridge and Prague Castle! I was able to go and see the sunrise and nightview of the Charles Bridge because it was so close to the hostel. And they also have 24hr reception, so that was also comfortable. They also kept my luggages for free. I think the room and the showers were also spacious and clean, good facility! Pretty cool and chill place. Good location, nice staff. The only problem is it persons, why are staying there:) but it is a hostel and it is normal. Rooms/beds were clean. Washroom were clean most of the the time. Also they have locker attached to each bed where you can keep your belongings. Plenty of bathrooms and showers, always clean. The curtains for each bed. Great and huge electronic locker under the bed, it fit everything. The front desk guy Pavel was very nice and gave us a lot of useful information during our stay. 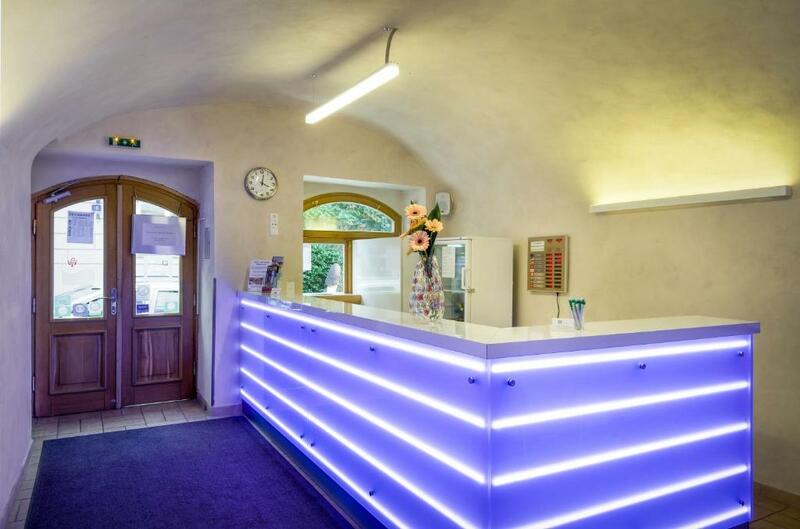 Little Quarter Hostel This rating is a reflection of how the property compares to the industry standard when it comes to price, facilities and services available. It's based on a self-evaluation by the property. Use this rating to help choose your stay! One of our best sellers in Prague! 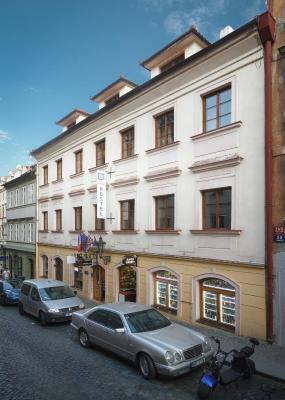 This hostel is set in a historic building on the famous Royal Route through Prague. Guests can enjoy the beautiful sunny roof terrace in nice weather, overlooking the city. 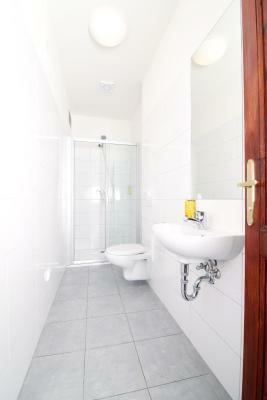 Little Quarter Hostel has a private bathroom in each dormitory and room. Free access to Wi-Fi is offered in the entire property. Luggage storage is available for free. Guests of Little Quarter can rent bicycles at the 24-hour front desk. 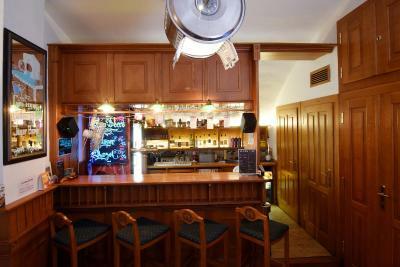 They can also enjoy a night bar, a lounge area, PlayStation, electronic darts, a TV, a table football and a beer pong. 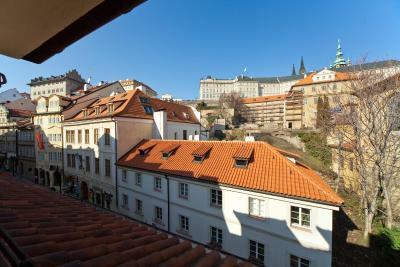 Hostel Little Quarter is located in Mala Strana, only 650 feet away from Prague Castle. Famous Wenceslas Square can be reached within 2.5 mi. Restaurants, bars and shops can be found there. When would you like to stay at Little Quarter Hostel? This bed in dormitory comes with free bedding and towels. Lockers are available under each bed. The shared bathroom is either fitted with a shower of a bath, toilet and a hairdryer and sockets. Free WiFi is included. 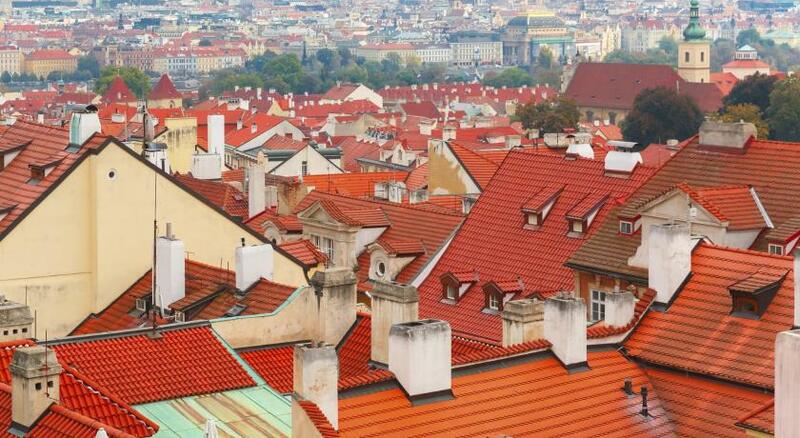 Little Quarter is located in Nerudova street, directly on the famous Royal Route, which winds through the heart of the historical centre of Prague. It is intended primarily for young travellers. 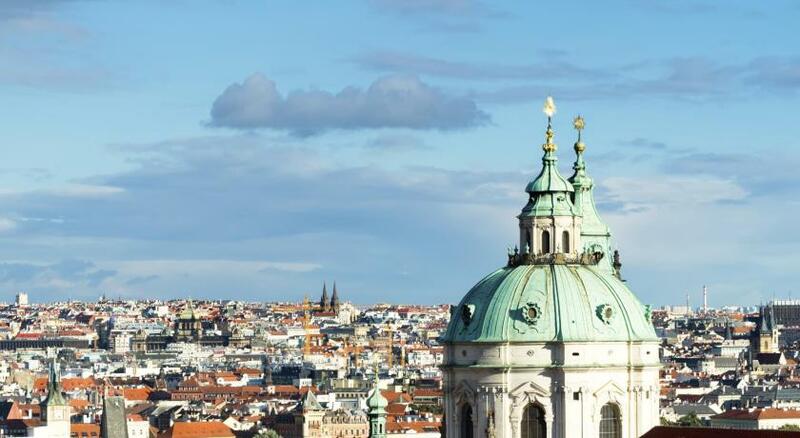 Rooms on the top floors and a roof patio opened during the summer offer unforgettable view of the Prague Castle and Petřín Hill. House Rules Little Quarter Hostel takes special requests – add in the next step! Little Quarter Hostel accepts these cards and reserves the right to temporarily hold an amount prior to arrival. Airy dorm room, friendly staff, good amenities. 1/2 hr to cancel after booking. By the time they got back to me to deny a special request they wouldnt let me cancel. Then when I arrived they gave me my special request. Thank you but go figure. 3 smelly, drunk, snoring, male, 20yo (if that) roommates the second and third nights made the room unpleasant and sleepless for me. They slept fine. The two women roommates were no problem, no snoring, no stink. So hostels are like that. The womens dorm fills quickly. You dont pick your roommates. 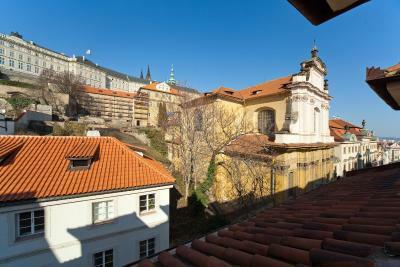 Location on main hill up to Prague Castle. Tram 15 from train station. Good sheets. A nice song wafted up from the bar below on the last night. I almost liked everything , there is nothing to complain about ! Rooms are a little too warm and a bit stuffy. It would be great if the rooms are regularly aired as part of the everyday cleaning routine. Otherwise, no complaints. Great hostel! Oh, boy. Where do I begin? Great breakfast (would be great if they had cheese, though)! Very spacious rooms that are regularly cleaned. Endless supply of soap and toilet paper. I love the fact that there is a curtain surrounding the bed, so you can socialize or just retreat into your private territory if you want to. Excellent location, as well! It was clean, but not as clean as last time (I guess the people who shared the bathroom with me were not so clean). But that was the first time out of three that I was not 100% pleased of the cleaning. The place is very orginized, and even though you are sharing a room- you get the feeling like the room and the bed were made just for you. Very high class, better then most hotels I visitted in the area. Sometimes receptionist is gone for several minutes- had to wait for my check out.. But they tell you when they will be back, so not a big problem. Although the great location the things around there are expensive. It is needed to walk a little away to find good prices. Very good location, the beds are really good with curtains for the privacy and a night of better sleep. Cool decoration and infrastructure. 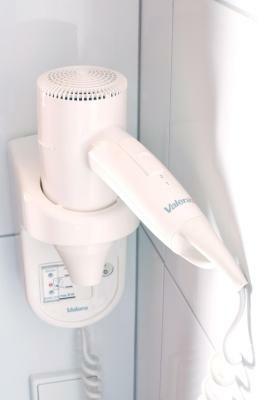 Clean toilet and shower. Nice staff.